I call this necklace the Snow Queen because it reminds me of the snow and ice crystals I see out of my Montana window right now. 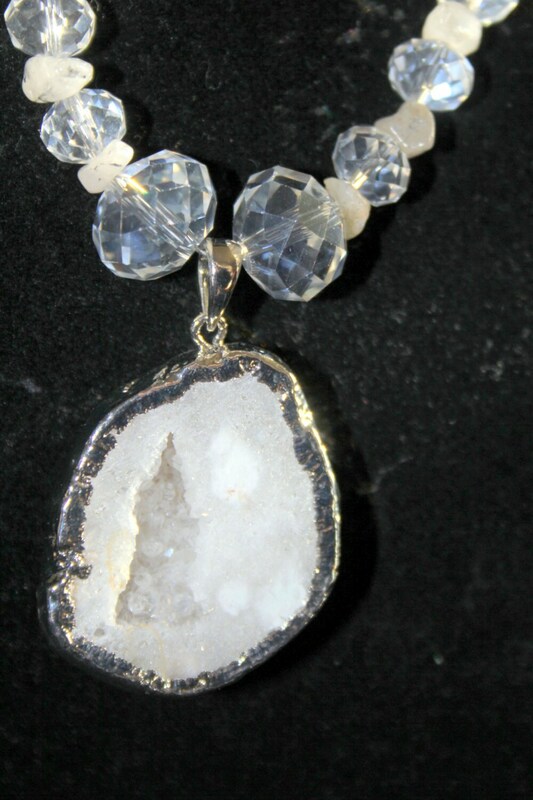 There is a large snowy white quartz druzy pendant in this necklace that is edged and backed with silver. The geode is full of clear crystals. 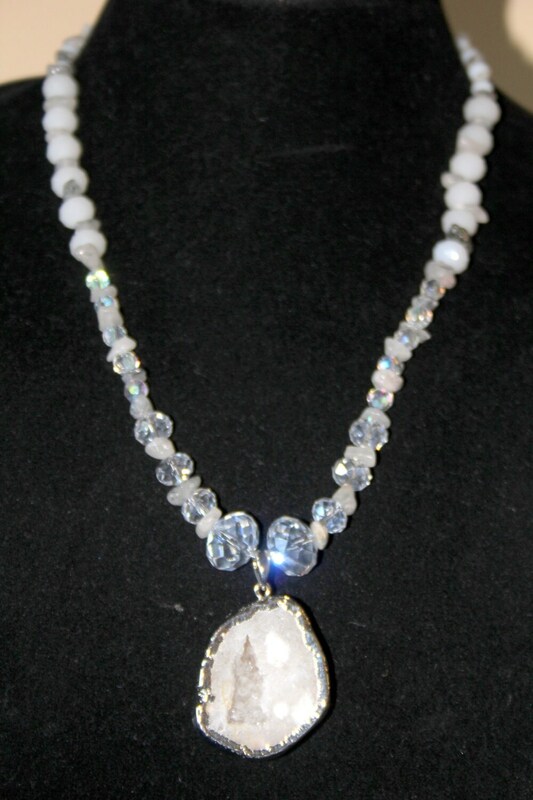 It has a silver bail and is framed with two large Swarovski clear, faceted, crystal beads. 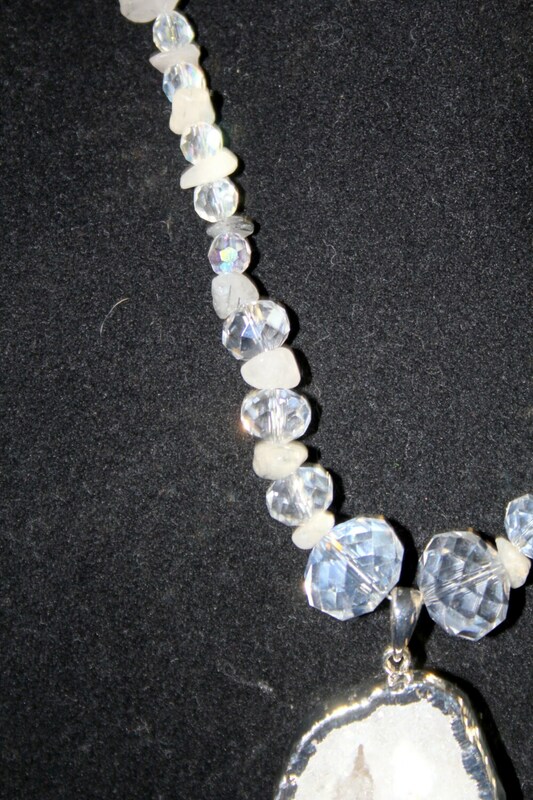 The beads going up the necklace alternate between smaller clear, faceted, crystal beads and small rutilated snowy quartz chips. The first picture shows the fire these beads make in the sunlight. The last half of the necklace is strung with AB white faceted Czech rondelles and the quartz chips until they get smaller along the neckline to the clasp. 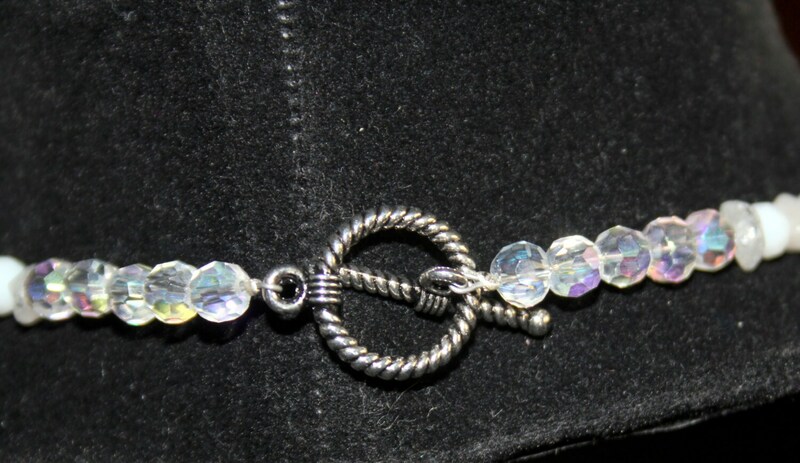 The clasp is a silver-plated toggle. The necklace is 20 inches long plus the 2 inch druzy pendant. This piece can be worn in simple elegance by itself or on a winter sweater.